After the worse winter holiday season I’ve had in the store and the fact that last year was not much better, I made the decision in January to close the storefront. At first I was so sad about this that I couldn’t even say it out loud. It seemed like such a huge fail, which in a sense it is, but when I began to tell people and they started telling me what they thought I should do, which I hate, it made me kind of dig my heals in and begin the feel convicted to the idea. I waffled for the next few weeks about when to close the store and in the end felt I needed to get on the other side of real winter which in Vermont means May. Once I gave my notice to the landlord I felt a lightening in my heart and knew I had made the right decision. I’ve been in this space for a few years and I have collecting a surprising amount of stuff. I spent a couple of days ruthlessly throwing away bags of fabric scraps and all the little bits of this and that I must have thought I would use someday, (do I really need to save 2 inch pieces of zippers that I trimmed off to make them the right length, um no). There was only so much I could actually place in the dumpster. I still have bags and bags of fabric scraps that I just can’t how away, I’m trying to find new homes for them but so far, no luck on that. I want to continue with my design and sewing but now for something completely different. I honestly don’t know exactly what I’m going to do yet. We are going to reconfigure our home so I can set up to work there and plan to keep the website very active. I’m just going to close my eyes to failure, open my heart, and see what comes in. This girl is on a new journey, wish me the best. She says she is cold blooded and they are a big help in keeping her warm. She’s kind of my tester. I send her a new style whenever I come up with one. I thought this song would be appropriate to this post: Please listen while you read. All five styles listed below are made with the same warm and very cozy fleece: Polartec® Power Stretch®. It has Lycra which provides four-way stretch and makes an especially comfortable fit. It is also treated to wick moisture away from the body and adds nylon on the jersey face for additional durability while the velour back feels very soft next to skin. These are a simple style, with a slightly gathered elastic waist for a smooth, very com fortable and sleek fit. I love these pants the most & live in them during the spring, fall and all winter long, wearing them as both tights and leggings. People who work out doors in the winter wear these fleece leggings as long underwear, (roofers and the ski patrol swear by them). My Mom sells them everywhere she goes, my 5 sisters all have at least one pair. My yoga inspired pants are a little dressier look with no elastic in the waist. Instead I use the fleece fabric as a separate waistband. I made uncounted samples until I was satisfied with the width and length to get just the right fit and feel. The waistband can be worn two ways: left flat to sit higher on the waist or can be folded down to lower rise. These pants are fitted through hips and thighs and bootcut for a slight flair from knee to hem. I had a customer special order this style as she preferred the smaller hem opening. I didn’t think it was going to work but when she came and tried them on they looked fabulous on her! So I’m adding these to my line as well. They have the same self waistband as the yoga pants but are pegged at the ankle like the leggings. Last but not least: Tights! Winter Hats: We are family. I think of these fleece winter hats as the seven siblings hats. I’ve been making versions of this hat for several years and the style never seems to get stale for me or my customers. We were gaggle of 7 kids who travelled in a world so different than today: no car seats, bike helmets, barefoot all summer, playing outside at all hours with no adult supervision. We’d put a blanket out in the backyard and be ship wrecked all afternoon or play kick ball on the road, and spent years getting ready to perform a broadway show, singing along with the album, but never actually launched a production. this hat now begins with 7 squares, a circle and a couple of wide strips to form the two color brim. When the brim is rolled up it shows just a little of the under brim color like piping. As always with my fleece I use only polartec the best quality I have found and made in the USA. Making these hats satisfies some of my need to work with color and different color and texture combinations. I always cut a few of these whenever I get a new fabric. Sometimes when I’m sewing these I ask myself why….it takes a lot longer to cut and sew seven pieces then it would if I made them from a single piece one then I remember why and happily make more. Even though we are all grown up now with smaller gaggles of our own I still often remember those crazy childhood days. They are like an island of the best memories that hold a golden star in my heart that shines brightly through all my days. 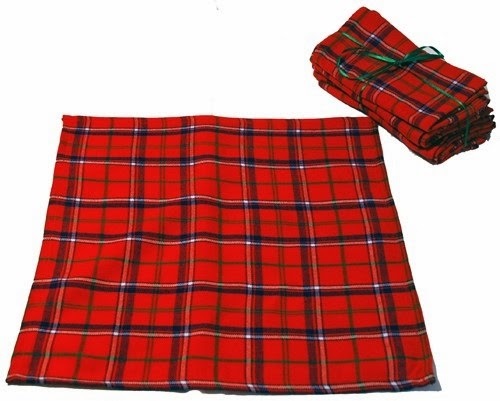 Maasai Shuka Fabric – bright, colourful & solid! A friend of mine stopped by the other day and asked me if I would do a special sewing project for her using some fabric called maasai shuka that she had recently gotten from Africa. 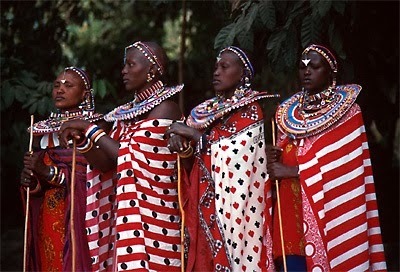 I of course said yes but as I had never heard of this maasia shuka fabric I did a little research and found a plethora of information on the Maasai people who are in Kenya and the Shuka. belonging to Kenya. 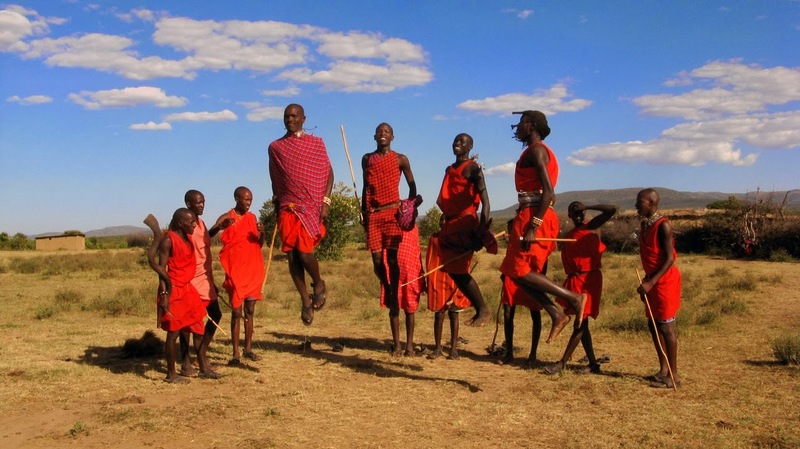 The Maasai (sometimes spelled “Masai” or “Masaai”) are a nilotic ethnic group of semi-nomadic people inhabiting Kenya and northern Tanzania. They are among the best known local populations due to their residence near the many game parks of Southeast Africa, and their distinctive customs and dress. is an accessory used in fashion for men and women. It is a beautiful example of African handicrafts, and always woven in vivid red by blending with black, blue or another main colour. 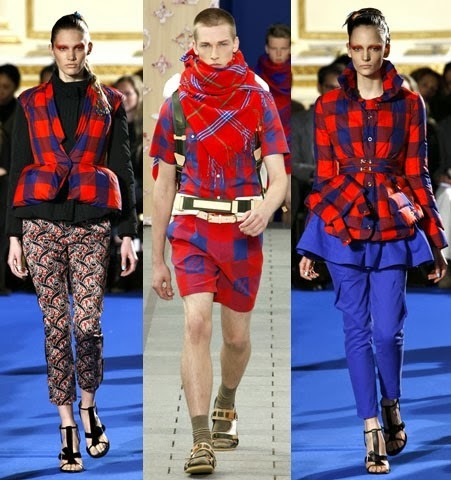 It is also used as safari blanket due to the feature of keeping warm and is used as bath towel, scarf or home decoration accessory.Top designer Louis Vuitton has used Shuka in today’s fashion and it is a marvel of creation! Who would have guessed such a beauty from Africa would be hitting the world by storm! I’ve been working hard on new fall styles and want to share but I have a tendency to get so bogged down in the blog posting, over thinking and getting overwhelmed by saying all the right things. So today I’m going to try the direct approach. Here are two of new fall styles I have made and just want to show them off and to see what you think. This jacket is a lovely pinky salmony color with velour fleece on the face and a shearling finish on the inside. A contrasting red zipper and elasticized hood for ease of use and extra cozy fit. As always we use the amazing polartec® for this fleece baby jacket and it is wind blocking and water repellant as well. It would make a perfect baby shower gift, new baby gift or holiday gift. Very limited quantities. Sizes: 9 month, 12 month, 18 month, 24 month. A pretty print on the crown and warm fleece ear and neck cover in a pinky salmon with velcro to attach under the chin so this fleece baby hat stays on. Mothers and fathers love this feature. Baby will be adorable and the hat will keep her head warm and cozy. If you are looking for unique baby gifts for the new or soon to be little bundle in your family, we think your search is over. Our handmade fleece baby hat is Vermont made with premium Polartec® polyester fleece – the same high-performance fabric in our entire fleece line. Plush, soft, lightweight and warm, carefully handmade with best quality Polartec® fleece and guaranteed to keep the newest heads warm and cozy. A truly unique baby gift.100% Polartec polyester fleece. Supplies limited. PS: Coming soon: Adult versions of the velcro baby hat! Polartec: Why I love it. I love love love Polartec fabrics. My business started as a home based shop when I moved to Vermont with my family. Fleece was all the rage here then, although not so well-known, (at least to me), as it is now. Because of customer demand I started working with fleece fabrics. I was so happy to find that the best source of the best quality fleece was made in USA in nearby Massachusetts. Then called Malden Mills, where fleece was invented, I began my love affair with their fabric. Now called Polartec, the fabrics they produce continue to be premium quality, durable and long lasting, easy care wash and dry and resist pilling wash after wash.
My all time #1 favorite is Power Stretch®. This line was great from the start but over the years has been improved and many varieties are now available. My current favorite are the smooth faced with a nylon surface and a soft brushed fleece on the inside. This is an amazingly durable fabric and makes really great feeling and totally cozy warm clothing. I like it best for pants because with the spandex stretch it holds its shape so well. This fabric is a joy to work with, is a pleasure to wear and is the most comfortable I have ever worn. I have a pair of these in every style I make and often take the first one for myself before I even put them up for sale. The smooth outer surface looks great and wash after wash it never pills or looses its shape the way some knits can. We expanded our base category’s range of motion with the invention of Polartec® Power Stretch®. Many elastics can stretch during physical activity, but lack the tensile strength to recover their original shape. We make stretch fabric that goes the distance and always retains its form, fit, and function. With Polartec® Power Stretch® Pro we take our stretch expertise and strengthen it for further durability and abrasion resistance. These base fabrics have become iconic in the industry, but don’t be fooled by stretch alone. If it doesn’t have the Polartec® label it’s missing more than you think. Polartec® Power Stretch® fabrics feature body-hugging 4-way stretch and are very breathable. They keep you dry when you sweat and provide warmth without weight. These are the most versatile outdoor and fitness clothing fabrics available today. Many of the fabrics feature a proprietary construction with two unique surfaces: the durable, smooth outer layer is wind- and abrasion-resistant; the soft inner layer pulls moisture away from your skin keeping you dry, warm and comfortable. Other fabrics in the series feature compression stretch which can improve performance and reduces the chance of certain types of stop-go injuries. Climbing, running—even taking on an Ironman competition—are easier when your clothing doesn’t inhibit freedom of movement. I use a lot of the classic polartec, often called 200 weight as well. This is the originaltype of fleece that then Malden Mills made when Fleece was first invented. This fabric has the brushed fleece finish on both sides and is loftier and softer feeling.This cozy brushed blanket is a perfect choice for wrapping up babyWithout the stretch it works better for tops, jackets, and Women’s VESTS, which are a best seller. I make the seven siblings style hat in every color I have and make a few every time I cut any other style or i run out of them quickly. Most of my infant styles are made with the classic Polartec as well: Blankets, Buntings, and Hats among them. In 1981 we created a synthetic fabric technology that was more lightweight, breathable, and faster drying than all its predecessors. Polartec® Classic fleece established itself as the cornerstone for insulating materials and forever changed the way the world dresses for cold weather. This invigorated the entire outdoor industry and cemented our roots as pioneers of innovation. Our fleece remains a premier insulating fabric with versatile capabilities and an ever growing list of applications. Where a fabric is born makes all the difference. Only Polartec® Classic fleece comes direct from the source in Lawrence, Massachusetts. Polartec® Classic fabrics are the reference standard for lightweight warmth and breathability. This is the original fleece offering unparalleled quality and durability. Polartec® Classic fabrics have been the primary insulation layer of choice among experienced outdoor enthusiasts for nearly three decades. These fabrics are available in a range of weights to provide the right level of insulation for most outdoor activities. Polartec® Classic 100 weight fabrics are the lightest and are excellent for a warm first layer or lightweight sweater, ideal for biking, trail running, and backpacking. Polartec® Classic 300 weight fabrics are the heaviest and provide a warm thermal layer for very cold outdoor activities, such as wintertime adventures. Halfway in between are Polartec® Classic 200 weight fabrics, providing outstanding warmth and versatility. I love this song…that’s all. I’d been looking for prints to make organic cotton skirts for the summer and I bought this cotton knit print sight unseen because the sales person told me it had the word UPRISE incorporated into the print. I don’t know why, (well honestly, I do know why, just listen to the song…Get Up Stand Up), but I really liked the idea of a word on fabric. I was looking forward to adding a new organic cotton skirt or two to my line & wardrobe. I wore the much-loved Leaf Print Skirt so much last summer and I am ready for a new organic cotton skirt. When The fabric it arrived along with a large order I was thrilled with my impulse. There were only a few yards left to purchase and I snatched them all up. This is a beautiful white print on the dark navy fabric: a soft very flowing light weight organic cotton knit with a little spandex. Since I such a small amount of yardage to work with I spent extra time getting it all laid up in the most efficient way in order to get the most out the small cut. While I was being so efficient I didn’t take into account that words are usually up-side-up. Later when I sat down to sew I realized that some of the Uprise were up-side-down. This made me think that the upside-down word might be RiseUp, worked for me. This whole process was going on inside my head along with the Bob Marley song, (from the Uprising album which I put on while I sewed). So with Bob & the Wailers blaring, I was really liking this little project. And it still is making me feel so happy. As The Cat in the Hat once said, “It’s fun to have fun but you have to know how”.